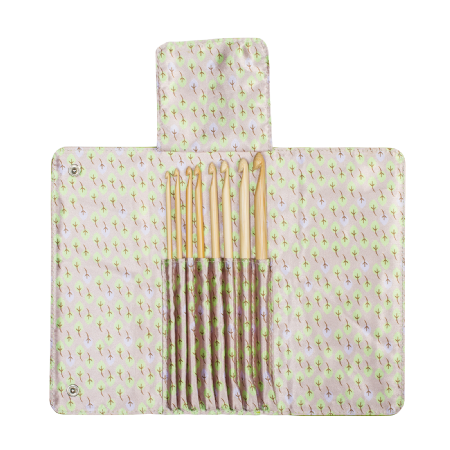 The exquisite addiClick HOOK BAMBOO set is a natural, new addition to the patented addiClick interchangeable system. 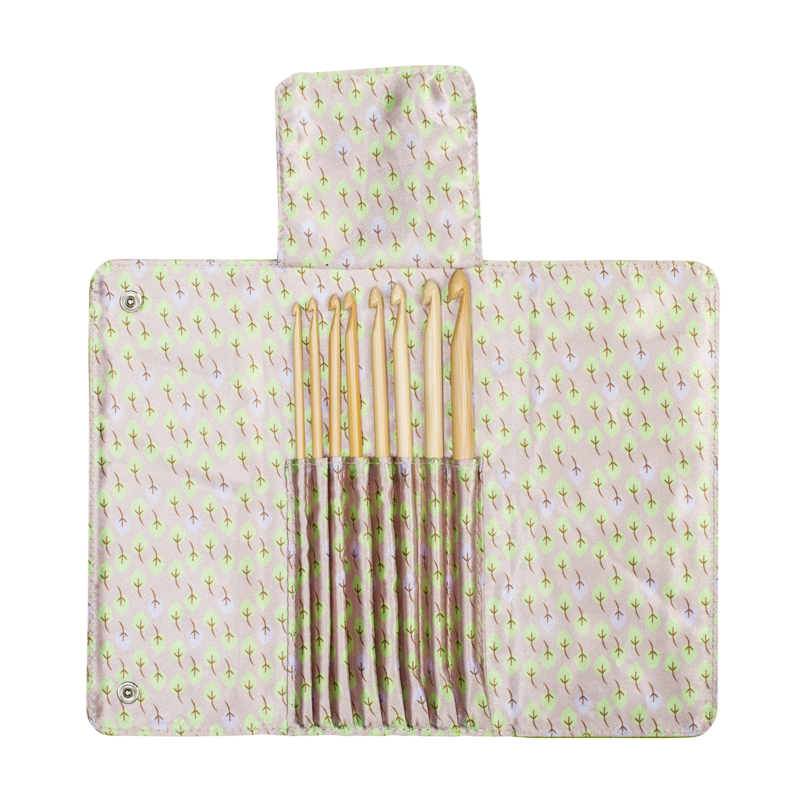 This set of finest quality crochet hooks is made from sustainable, slow-grown bamboo - just like the addi bamboo knitting needle tips. 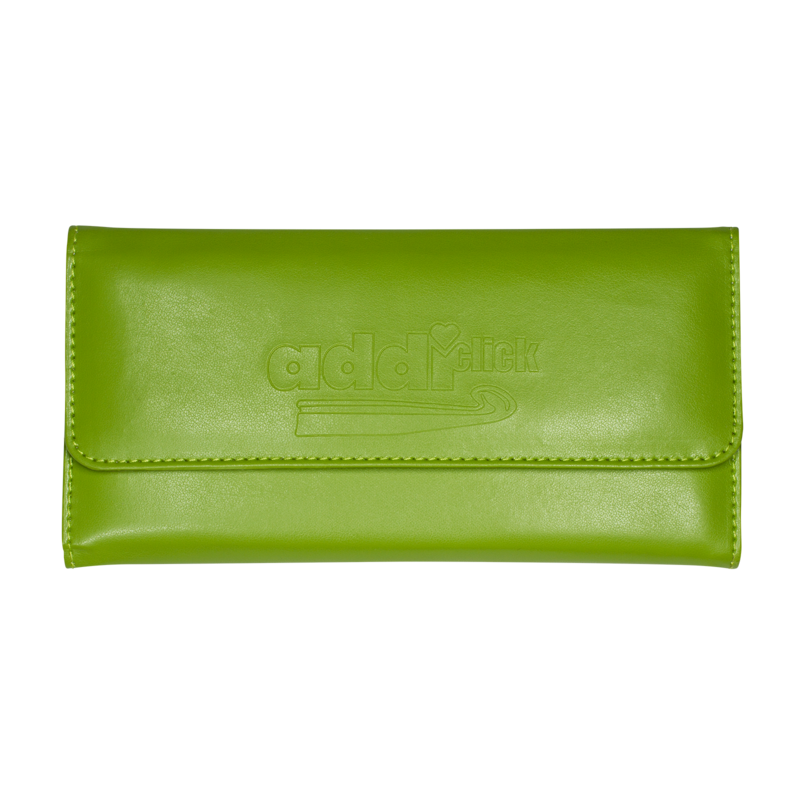 A sleek green case with a printed silk lining contains 8 hooks in sizes from 3.5 mm to 8 mm (US sizes E- 4 to L - 11, UK 9 to 0). All addiClick cords and tips are compatible, so you can use these hooks with any set, any cords. The crochet hooks are very smooth with a neat transition to the cord.